Enjoy the bay on a paddle boat. Boats fit two passengers and easy to use. Paddle boat rentals include a brief instruction and then off you go into the bay. You can paddle alone or with a partner. Our boats are easy to use and are an exciting way to explore the bay at a leisurely pace. Feel Safe with our wide selection of USGA certified personal flotation devices. We have sizes to fit all as well . Everything is included for your journey on the bay. Paddle boat rentals launch from a secluded safe canal that is a short paddle from Assawoman Bay with scenic views of the Isle of Wight Bay and pristine marshland along the shore. Reservations are accepted and encouraged during the high traffic season. Stand Up paddle boards in a variety of sizes and models. We provide free lessons for all levels. 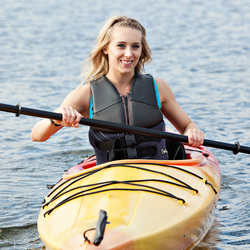 1 and 2 person kayaks for all ages. We have Multiple sizes and styles. We offer free lessons to all. We bring your personal kayak or Stand Up paddle board to your location. .